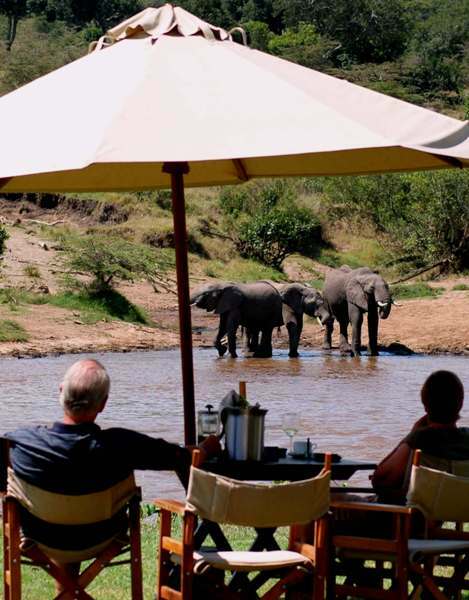 Inclusions: Full board accommodation as three meals daily, teas and coffees, mineral water, sodas, beers, house wines, two game drives per day incl. 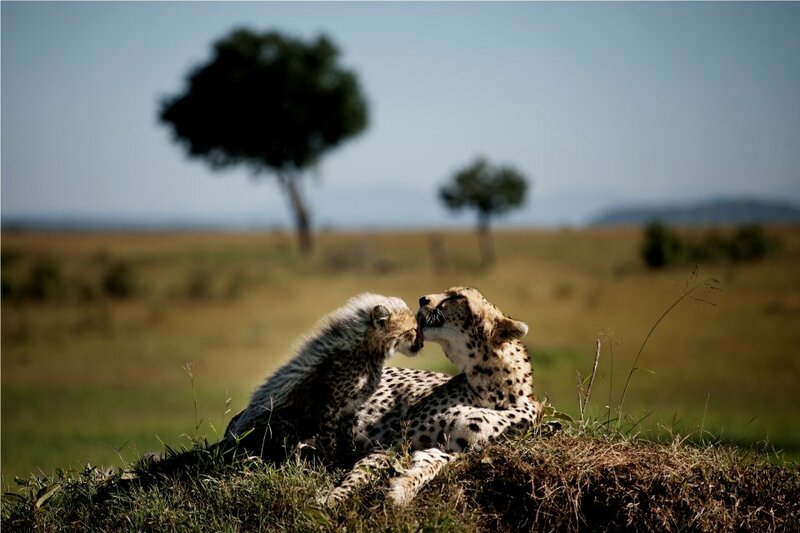 night game drive or full day and airstrip transfers. 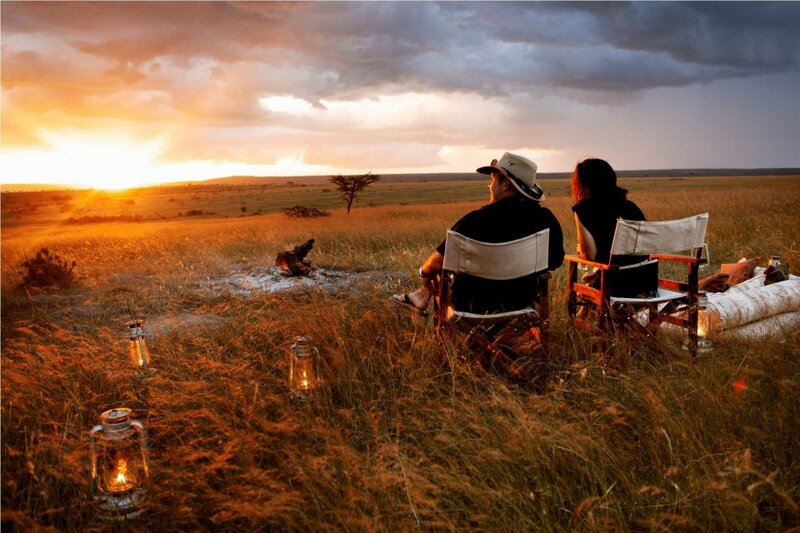 Exclusions: International and domestic flights, conservancy fee for Mara North Conservancy, park fees for Masai Mara National Reserve and Mara Triangle, laundry expenses, safari shop purchases, tips & gratuities, telephone calls, insurances, anything not listed under Inclusions. Conservancy fees: Mara North Conservancy charges 60 USD per adult a day and 30 USD for children under 12 years old as conservancy fee. 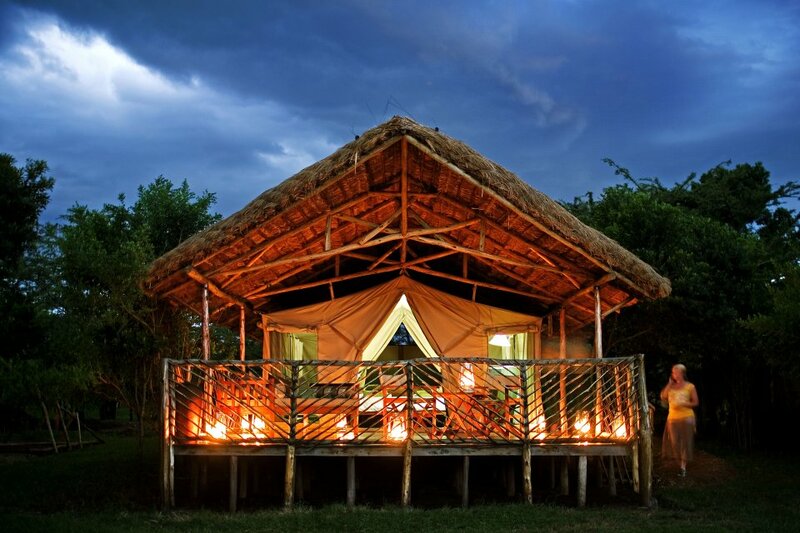 This fee is mandatory to pay, when staying at a camp in the Mara North. 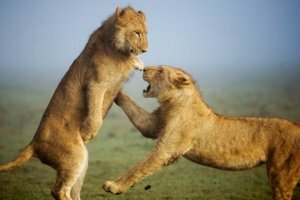 Park fees (national): Masai Mara National Reserve and Mara Triangle (Mara Conservancy) charges 80 USD per day per adult and 45 USD per child. 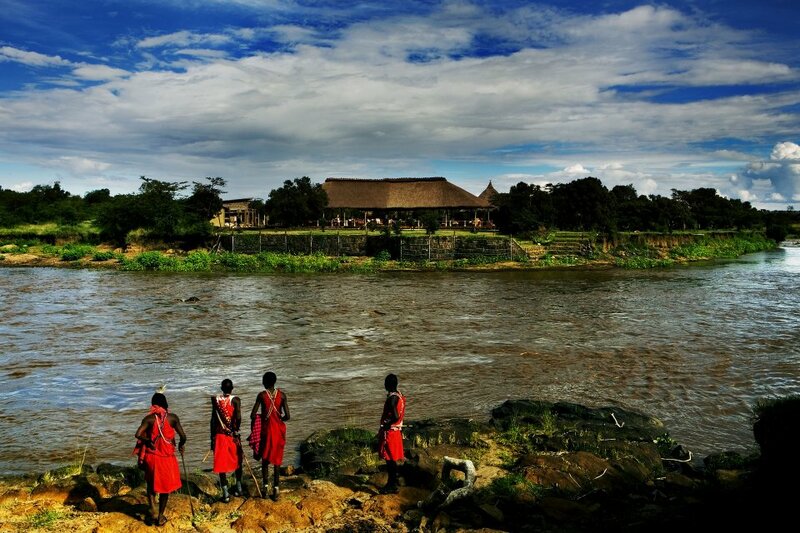 The park fee is an additional fee which applies to guests who wish to visit the National Reserve and Mara Triangle. General notes: Infant until two years is free of charge. Child is between 2 and 12 years. Exclusive use Game Vehicle is available on special request at separate charge. Christmas supplement applies between the 23rd of December to the 1st of January is 60 USD extra per person. 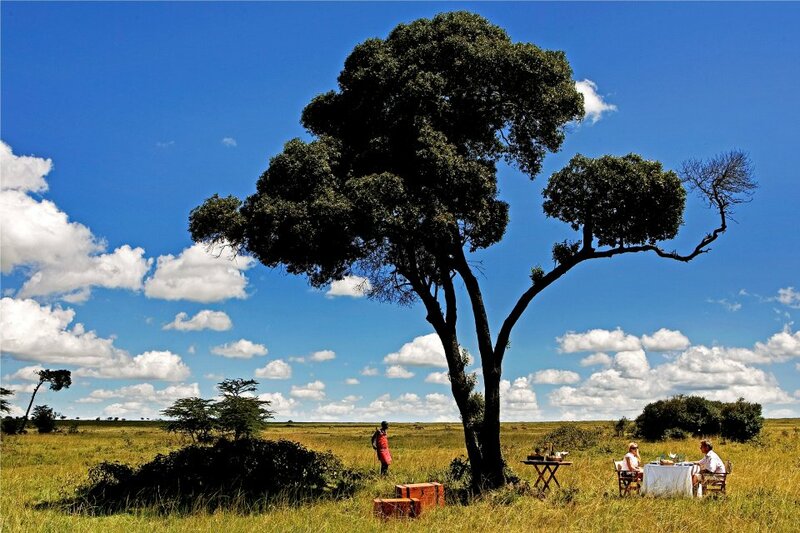 Karen Blixen Camp is an eco-friendly luxury camp, that gives a sense of the exciting explorer days when the Savannah was seldom visited, and elaborate and comfortable camps were set up providing a luxurious and stylish retreat after each day’s adventure. 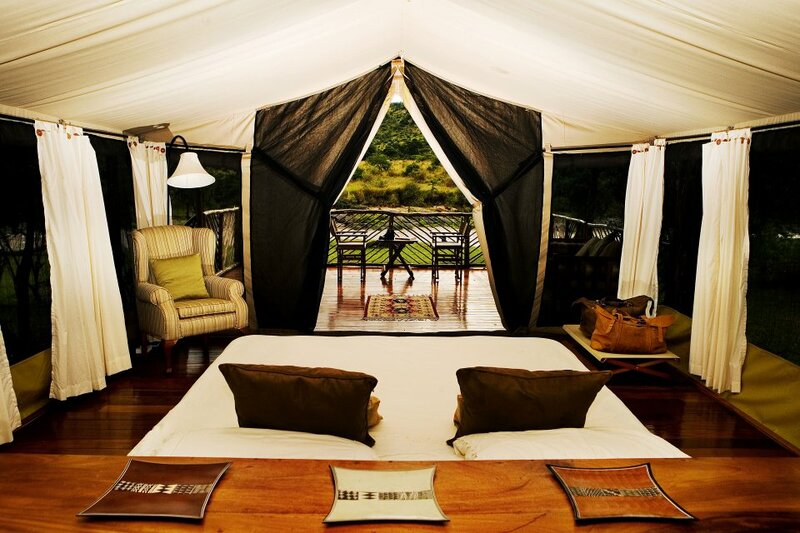 The camp comprises 22 large luxury canvas tents each placed with undisturbed views along the Mara River. The stylish restaurant, the reception, the lounge and bar area and the gift shop with internet are set on a raised wooden deck, and furnished with accurate reproductions of Karen Blixen’s private furniture to fit in with the cozy atmosphere. 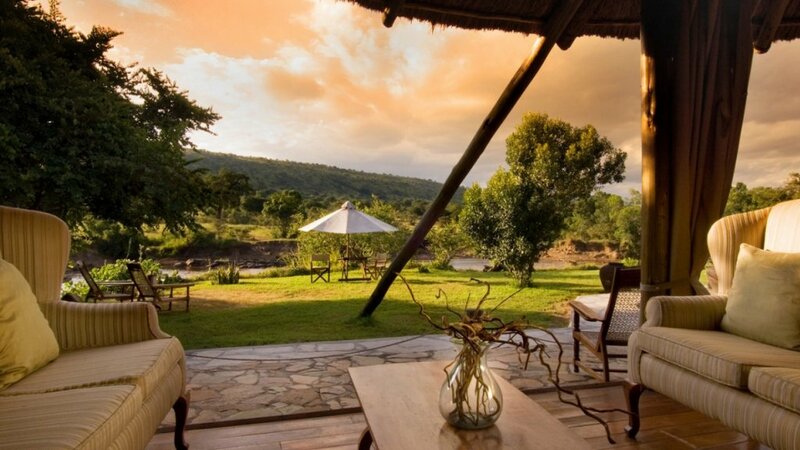 Imagine comfortably seated in our bush garden while enjoying the families of graceful giraffes and slender gazelles coming for a sip of water; watchful of the great Nile crocodile lurching the river water. Watch our resident hippo pod with their fat little baby hippos; busy pushing and shoving at each other. 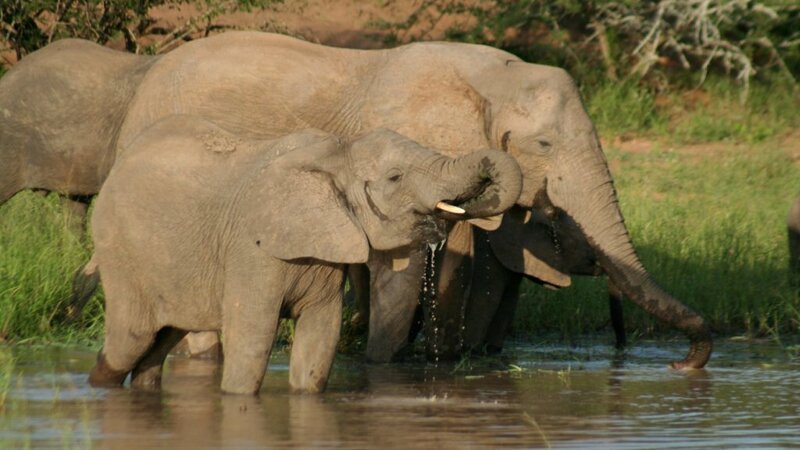 Enjoy the elephants as they come in their dozens to gulp down trunks full of water and a playful wash in the Mara River. 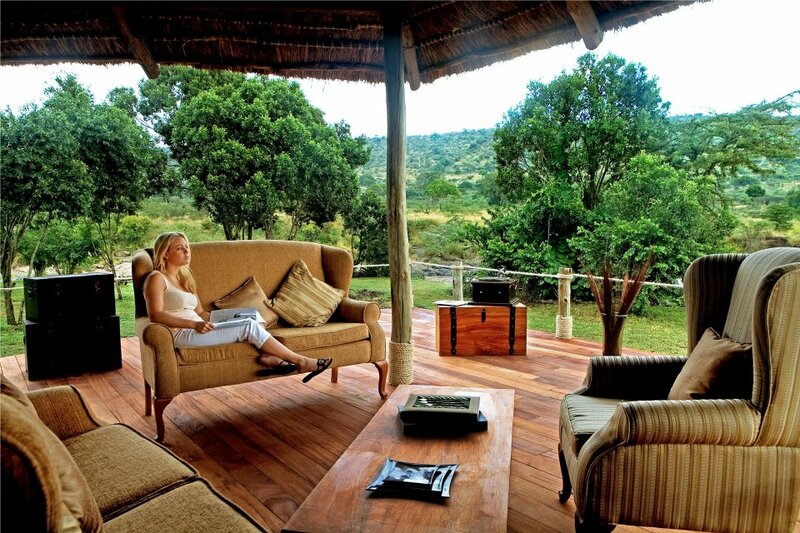 Or relax with a good book at your private veranda while observing the sturdy buffalo, the grand elands and the numerous zebras grazing the corridor of the impressive Oloololo Escarpment, just opposite your cozy canvas tent.